The Jousting Life: Petter Ellingsen: Jouster at "The Grand Tournament in Sankt Wendel"
Petter Ellingsen: Jouster at "The Grand Tournament in Sankt Wendel"
In case you don't already know, “The Grand Tournament of Sankt Wendel” is this weekend. This tournament was probably the most talked about and anticipated tournament during the past year, and it is finally here! 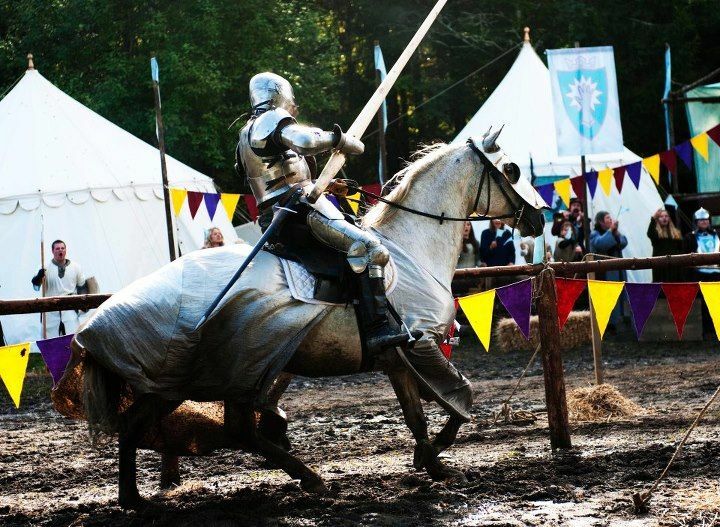 TJL has been interviewing those competing in the tournament, and jouster Petter Ellingsen managed to send his answers to the questions while actually en route to Sankt Wendel. Petter Ellingsen is 37 yrs old and lives with his girlfriend and 3 kids on a small farm outside Oslo in Norway. He currently has his own company, Ridderhest, which specializes in horses for Film, television and events. 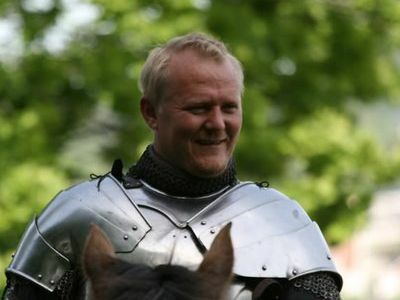 Petter started to ride at the age of 24 just to be able to start jousting. He has competed internationally since 2002 and has jousted in 11 different countries around the world, both with balsa and solid lances. 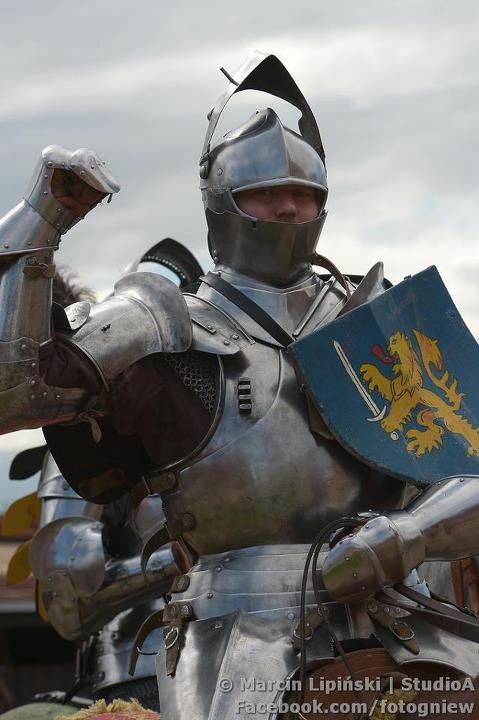 How did you become involved with the Grand Tournament of Sankt Wendel(GTSW)? I've known Arne Koets for 10 years, and was invited to join when a spot opened up earlier this year. Fairly drastic ones. 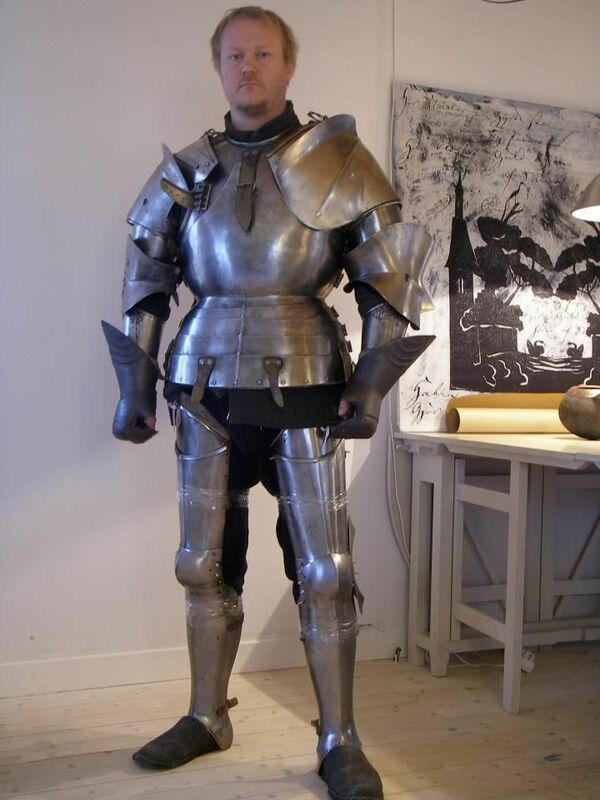 I've got a complete new suit of armor made by Danish armorer Per Lillelund Jensen. Mostly training to use the arret properly – so running at the shock quintain with both solid and balsa lances. I'm riding Lux, a 9 yr old Lipizzaner gelding. I got him 2 years ago and have been training him towards film work and jousting since then.